Nicole Brown stylish handbag. On the front there are two nice zipped pockets and Velcro flapped compartment. 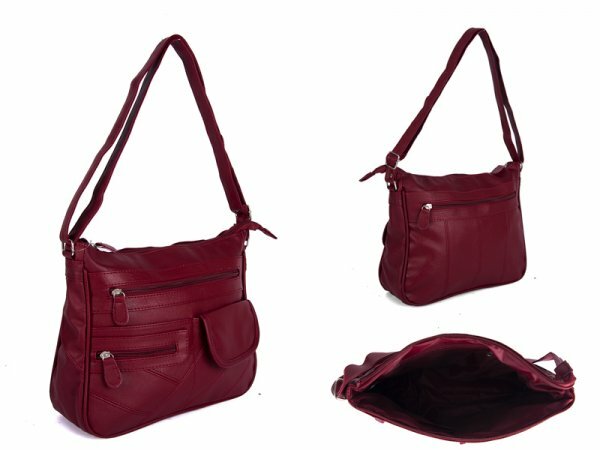 The main compartment is lined in the same colour material as the bag, with zipped key pocket and two open. On the rear there is also another zipped pocket. The strap is fully adjustable 71cm to 140 cm long approx.